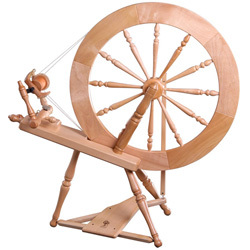 This is an Ashford wheel, but other wheels are constructed in a similar way, so I guess this solution will also apply to any wheel. Here's the problem, the hub has come apart leaving the spokes loose and the wheel wobbly. 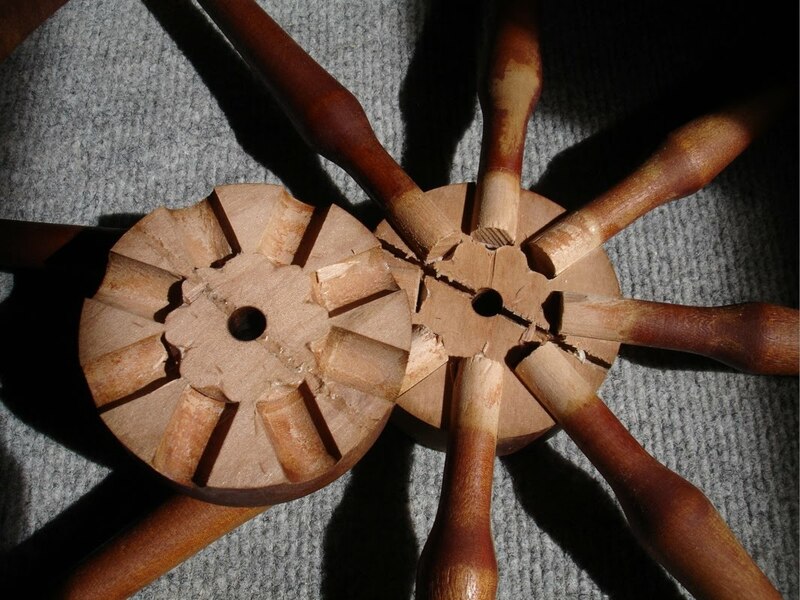 First of all, if you can't see a pencil mark somewhere across the two halves of the hub, make one of your own. This will make sure that it goes back together correctly. Knock out the locating pin which goes through the hub and crank. Take the con-rod off the end of the crank and pull out the crank. (This is usually hard work). Now you can separate the two halves of the hub. 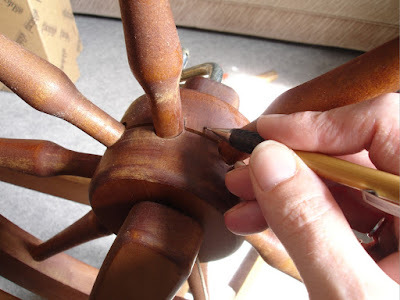 clean off any dried-up old glue, and then apply some new wood glue. 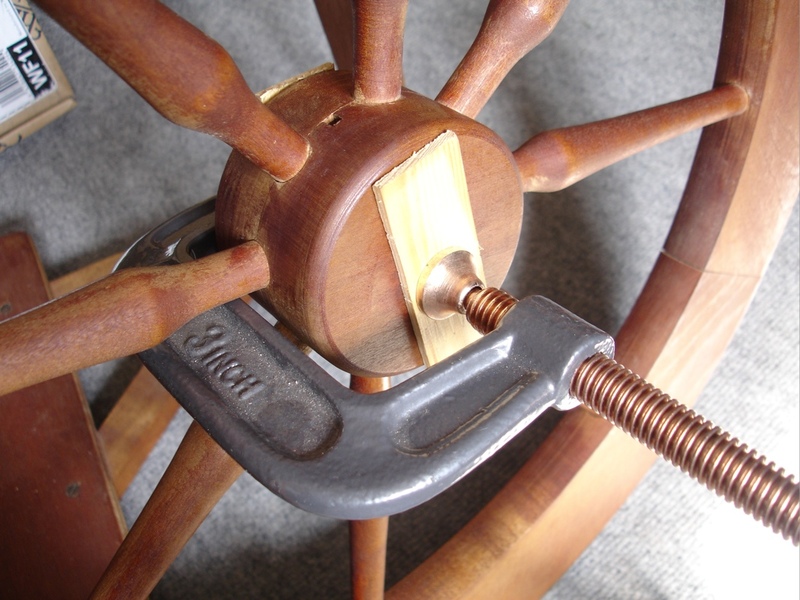 Follow instructions on your wood glue, and be sparing - you don't want it squeezing out all over your spokes and hub. Push the crank back in far enough to make sure that the hub is aligned properly (some candle-wax to help it slip in a little more easily). Use two G-Clamps to squeeze the hub together. Check your pencil mark to make sure it's matched up properly. 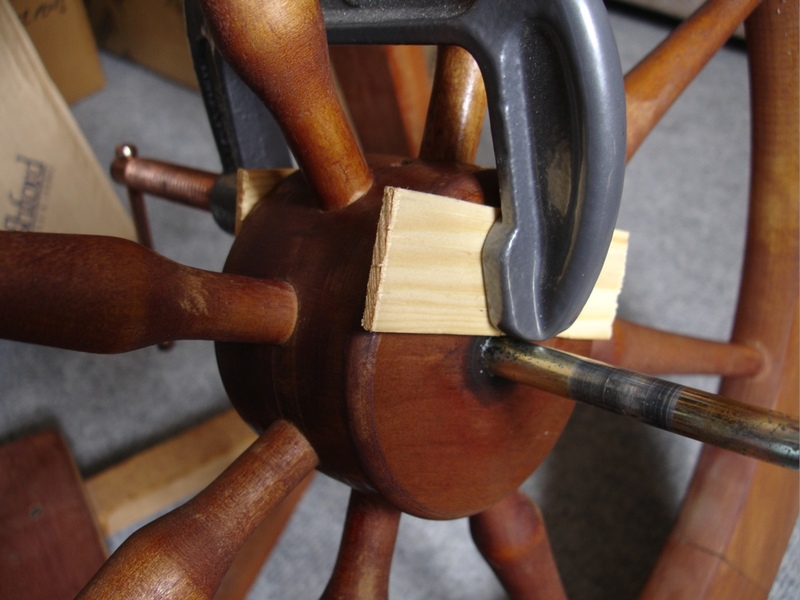 Protect your hub with some scrap wood and tighten the clamps up well. 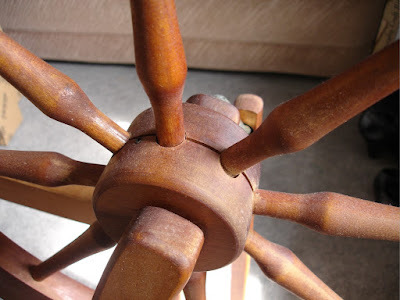 Leave to dry overnight or as directed by your wood glue before putting it all back together.